The AD8251 user Interface consists of a parallel port that allows users to set the gain in one of two different ways (see Figure 1 in data sheet for the functional block diagram). A 2-bit word sent via a bus CAN be latched using the WR input. An alternative is to use transparent gain mode where the state of Logic levels at the gain port determines the gain. The AD8251 is available in a 10-lead MSOP package and is specified over the 40C to +85C temperature range, making it an excellent solution for applications where size and packing density are important considerations. This is one package pinout of AD8251,If you need more pinouts please download AD8251's pdf datasheet. 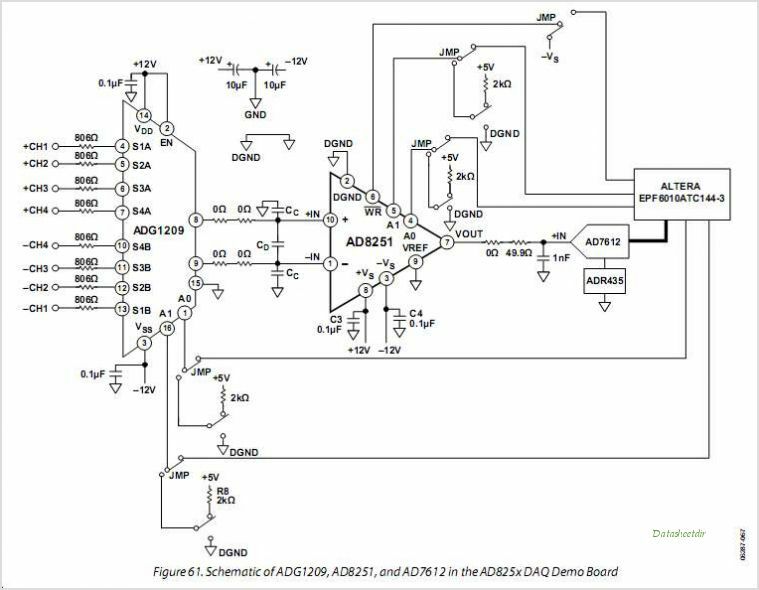 This is one application circuit of AD8251,If you need more circuits,please download AD8251's pdf datasheet.